Colorful Twilight Scene Of Frenetic Highway With Fast Moving Vehicles In Blurry Motion. Фотография, картинки, изображения и сток-фотография без роялти. Image 33694474. Фото со стока - Colorful Twilight scene of frenetic highway with fast moving vehicles in blurry motion. 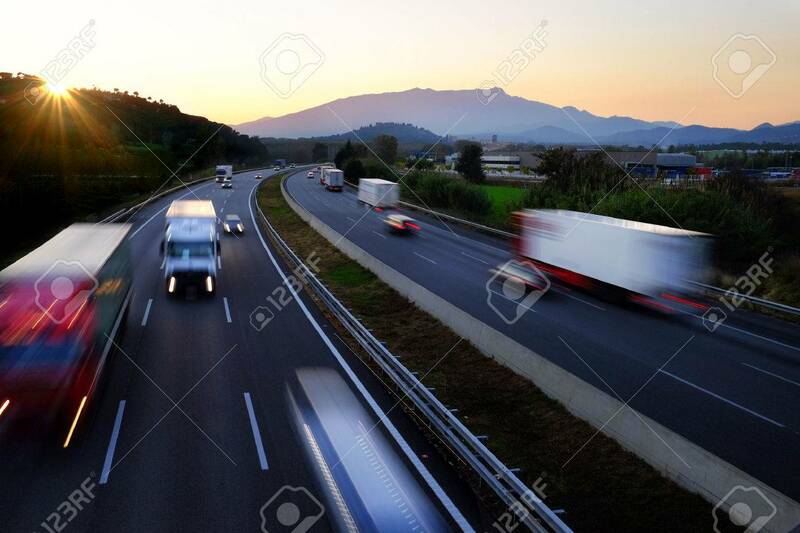 Colorful Twilight scene of frenetic highway with fast moving vehicles in blurry motion.